This green eyed Egyptian queen mask includes a headdress, earrings, and black eye makeup. 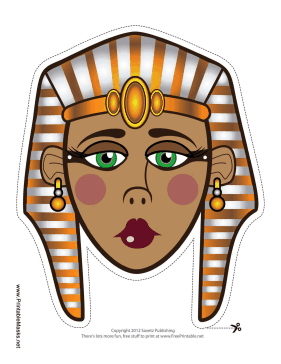 Wear this mask to complete your Cleopatra costume! This mask is free to download and print.